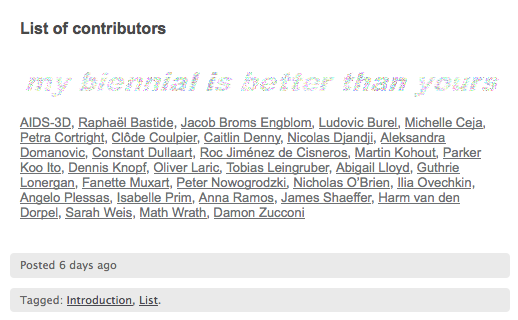 September 16th, 2009 - January 3rd, 2010 - MyBiennaleIsBetterThanYours.com - Lyon, France. Curated by Tolga Taluy. This online group exhibition was included in the Xth Biennale de Lyon. 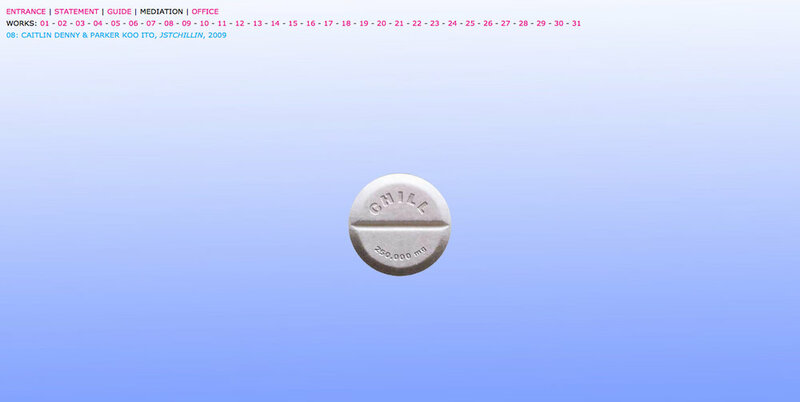 The project JstChillin was featured amongst artists such as AIDS-3D, Guthrie Lonergan and Petra Cortright.